Once again the year has reached its end and then its beginning, and I am returning from the House of Netjer’s annual Wep Ronpet Retreat. This year was different. Rather than being held near the House’s temple building in Illinois, the retreat was held in Portland — Oregon, not Maine, as I found I would have to clarify multiple times when talking with family and friends. I was worried that holding our celebrations outside of a formal temple environment would diminish them, somehow. Instead, I found that it reinvigorated them. First: the Kennedy School, where we held our celebrations, was absolutely delightful. The accommodations were well-furnished and pleasant, the conference spaces were comfortable and beautiful, and the staff were respectful and even curious about our activities. In past years, we were asked to make our own arrangements for dining. This year we were served multiple meals and ate together as a group, sharing breakfast and having comfortable, easy conversation in the bright light filtering through the windows. The room where we held our pre-Retreat priests’ meeting was furnished with soft couches for everyone, for goodness’ sake! More to the point — the gods and ancestors were present. From the moment we opened with amulet-making to the dawn rites of New Year’s morning, They made Themselves known. 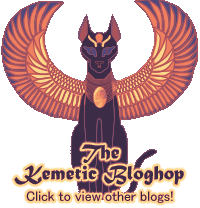 Sekhmet was present in Saq at Her ceremony — made even more special because it is Her year. The gods were pleased with our morning celebrations, with Ra appearing and blessing our rites. 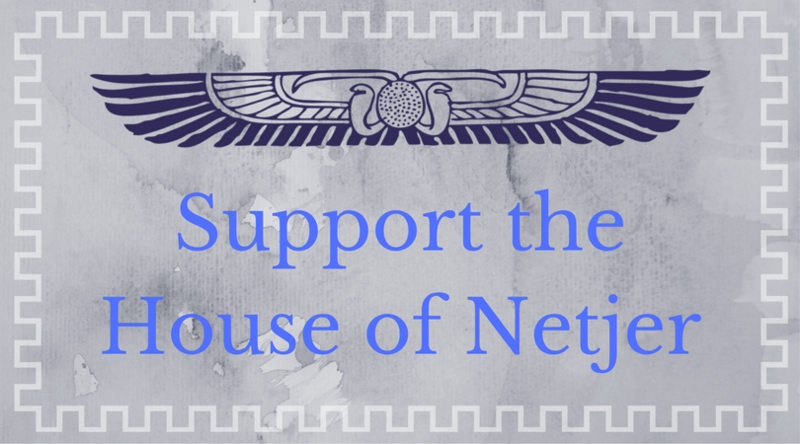 And the Ordeal of Weshem-ib went smoothly, bringing four more children of Netjer into the order of the Shemsu-Ankh. Change is good, it would seem. And also inevitable. Change is part of being human, being mortal. Even the gods Themselves have been known to change, temporarily and permanently. I am looking forward to sharing some changes here, and making changes in my personal life and religious life. It will be good.